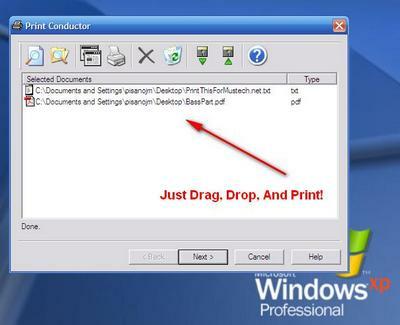 Description: Easily batch-print multiple files from within a GUI drag and drop environment. Expanded Description: Although not a Music-Specific Freeware this program is unbelievably useful for the day to day printing needs of educators and musicians. At some point you may need to print many different files “in one shot”, whether they be Word docs, PDFs, or of almost any standard file format…this program allows you to drag-and-drop any file into it’s print que and send them all, at once, to your printer! All printer drivers are supported. This program is a huge time saver!